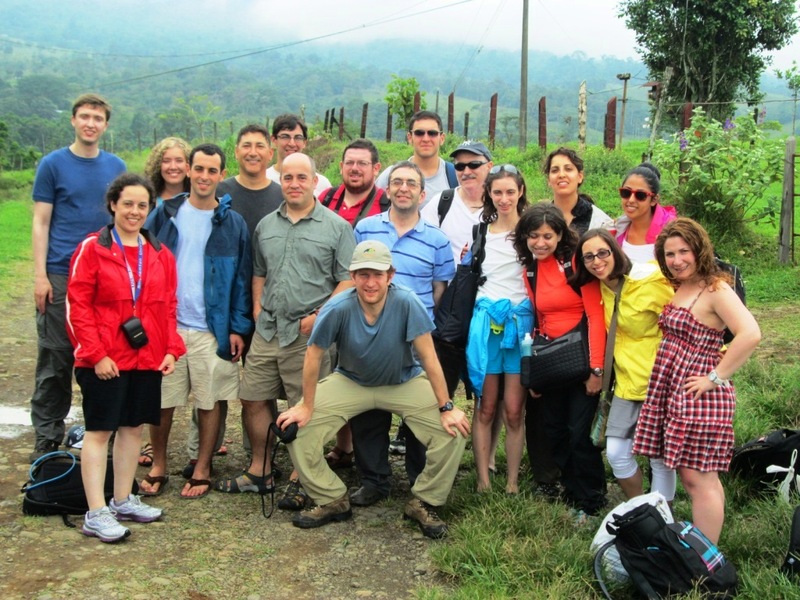 The 9 day Costa Rica Caribbean Experience for Young Jewish Professionals (mid 20s - mid 40s) this August offers a diverse adventure that combines the Caribbean Highlands of Costa Rica – with its breathtaking tropical beaches. It begins with an amazing whitewater rafting run down to the Caribbean Lowlands, with their tropical beaches, unique flora and fauna, active nightlife, and indigenous culture - where we will hike in pristine jungle, go on a rainforest zipline and participate in a day of service benefiting one of the communities - and more! ; it continues with a visit to Tortuguero National Park, with its majestic jungle canals and the late-night ritual of endangered turtle nesting on its beaches; and it ends in the highlands, with their lush mountainous rainforest, waterfalls, freshwater pools and serenity - spending Shabbat while based at a cool Jewish owned eco-farm on the slopes of Mt. Turrialba (an active volcano!). and check out our pricing and terms page! EVERYTHING listed below is included in our trip! These adventures are paid for already – including a swim in the pool to the right– just imagine that! You may, but you do not need to spend another dollar on an adventure – it’s all priced into our packaged tour. - Tropical beaches on the Caribbean! - Two nights on an eco-farm, home to untouched rainforest and amazing waterfalls! - Explore Tortuguero National Park, its natural canals and its wildlife of turtles, crocodiles, monkeys and more - with an optional turtle nesting tour! communities benefit from tourism revenues and protect the environment. - Caribbean beaches, and more Caribbean beaches! - Caribbean cooking class – kosher style! Watch the Costa Rica Experience Clip!